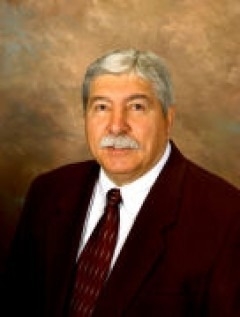 Wallace Czekalski | Czekalski Real Estate, Inc. In 1965, Wally Czekalski joined the company that his mother had founded two years earlier. He has been a real estate broker since 1969 and currently serves Czekalski Real Estate as CEO and Chief Appraiser. His primary goal is to solve his clients' problems. He is a state certified general appraiser and is an AQB Certified USPAP Instructor, one of only 500+-in the entire United States. When he is not appraising, he is teaching real estate appraisal courses to appraisers throughout the country. To date, Wally has taught in the majority of the fifty states. As CEO of Czekalski Real Estate, Wally is proud of the company's tradition of giving back to the community and is one of the longest standing members of the Allegheny Valley Chamber of Commerce, with a membership dating back more than 50 years. Prior to joining the family business, Wally served in the U.S. Army and was stationed in Okinawa, Japan. During that time, he worked on radar and radio systems for missiles and aircraft. Wally has enjoyed his lifelong association with the company that bears his name because of the great people who work here. His philosophy is the same as a former President has said: "surround yourself with good people and get out of their way!" Wally is an avid hunter and fisherman. He likes spending time at his camp, where he enjoys bringing his grandchildren for mini-vacations. Wally has been in all 50 states. He saved Rhode Island for last, since it is the smallest state.